Old romantic rails, covered by vegetation and reconquered by nature. 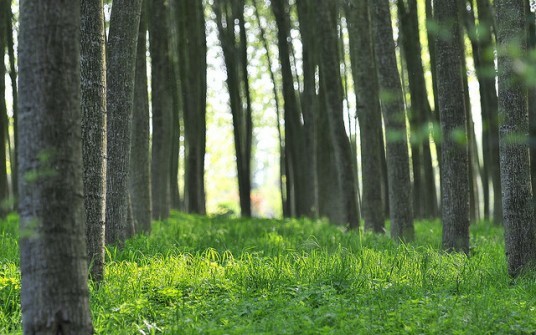 They become green paths to go by bicycle and discover the landscape. One of these is the former railway route Treviso-Ostiglia transformed into the longest bicycle path in Italy. This railway, in the north-east of Italy, was built between 1920 and 1940 for military reasons but after the II World War scarcely used. 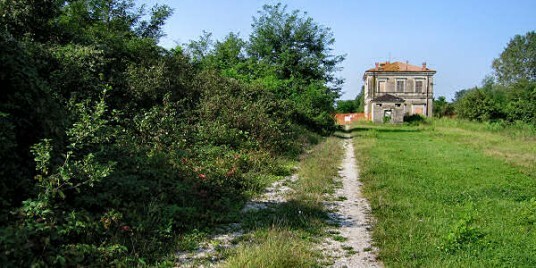 The Treviso-Ostiglia is one of the most important disused railway, 118 km (73,27 miles) long. In 2007 was proposed a law to improve the reuse of the old dismissed railways as a new ecologic path, like bicycle or walking paths, trails for horses and paths adapted for person with limited mobility. 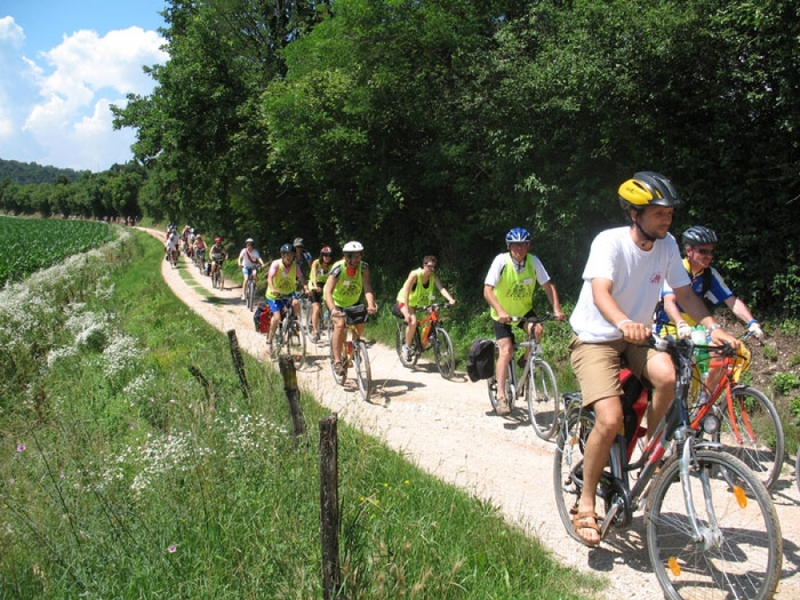 Thanks to the approval of this law in 2008 the Government financed the realization of a net of paths of dismissed railways to transformed them in bicycle and touristic itinerary. 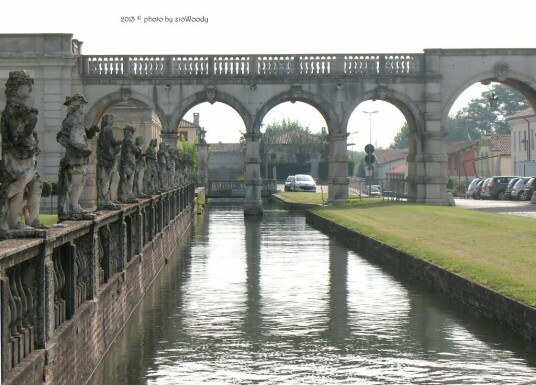 The last inaugurated section of the Treviso-Ostiglia is a 42km (26miles) bicycle path long. Connecting Quintodi Padova, where we suggest to strat the bicycle path, to Campodoro, it gives the possibility to tread a way without car traffic and pollution, far from the city noise, regain a stressless mobility with more respect for the environment. Along the path you can easily reach place with socio-cultural interest and nice landscape like the Parco del Brenta, the Santuari Antoniani in Camposampiero, the Villa from Palladio in Piombino Dese, the Villa Contarini a Piazzola and the Fiume Sile Park. 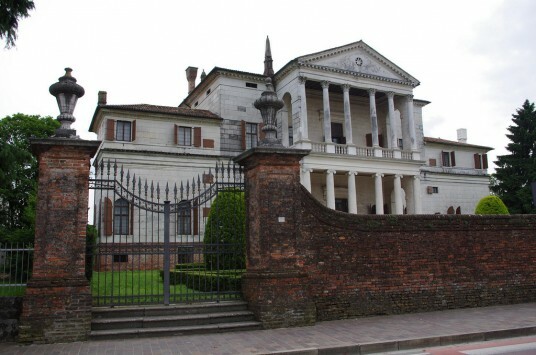 For people passionate of architecture the Villa Cornaro from Palladio is a great example of his style. Magnificent is the theme of the double “loggia” in the facade topical of the gothic building in Venice. The Villa Contarini, also from Palladio, it’s so rich of architecture and great parks and lakes that looks like a royal palace. But if you prefer the nature you can not resist to visit the Parco del Fiume Sile, the longest sourced river in Europe, where you can discover the Fontanassi del Sile, find lakes and wetlands up to walk the old “Restere”. For who is interesting in typical products of the park you can buy in the area the sweet potatoes and the peppers of Zero Branco, “el Bisàto” (eel) and the Sturgeon of Sile. It should be a great idea to recover the energy to stop in some Agriturismo and eat the typical dishes. A good menu can be Bigoli mori or Risi e Bisi, after that a plate of Luganega trevigiana of Aringhe marinate con cipolle with a side dich of Radicchio variegato di Castelfranco, to finish with a Zaèti e Crostoli dessert. If you want to spend more days during your bicycle trip you can stop at La Casa del Giardiniere, 4,3 miles from Treviso, or at B&B Sidecar Veneziano, 7,5 miles from Camposampiero, two nice sustainable Bed & Breakfast sorrounded by the nature. In Italy there are today others dismissed railways transformed in bicycle paths like the Spoleto-Norcia (31 miles) in Umbria, the Ospedaletti-San Lorenzo a Mare (14,9 miles) in Liguria, the Valle dell’Anapo (7,45 miles) in Sicilia. These are amazing greenways ideal to visit Italy in a slow and authentic way. You will discover it in the next articles of the Blog! Route type: easy, suitable for children! Fidentina di nascita, sono partita e ritornata mille volte, perché non mi stanco mai di viaggiare, cambiare e conoscer cose nuove. Adoro, oltre al viaggiare e le lingue straniere, la fotografia, il cinema, i giri in bicicletta per le campagne durante le belle giornate, conoscere gente nuova, le emozioni vissute. This entry was posted in journeys and tagged B&B La Casa del Giardiniere, B&B Sidecar Veneziano, bicycle, natural parks, Ostiglia, Po river, Treviso, Villa Contarini, Villa Cornaro. Bookmark the permalink.